Dedicated to preserving, expanding, and maintaining the trails within the City of Newcastle, Washington. 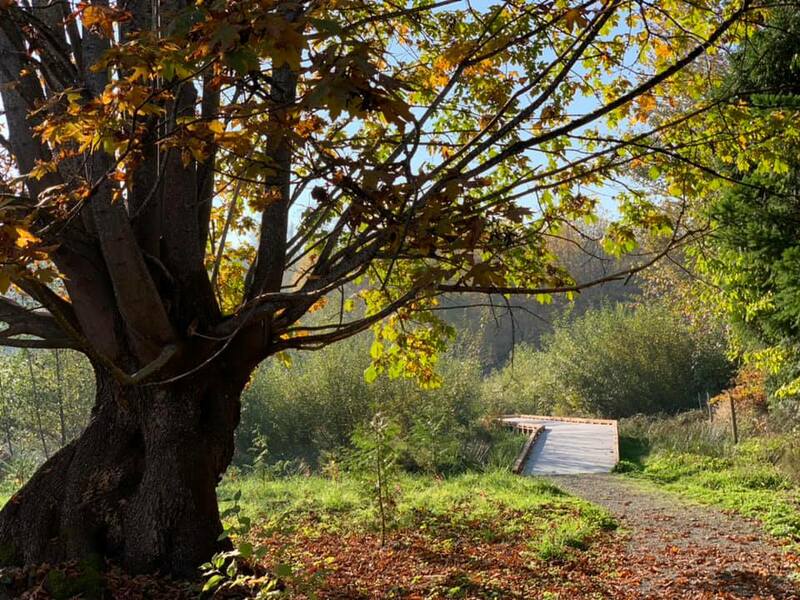 NEWCASTLE TRAILS is a 501(c)3 not-for-profit volunteer organization focused on the preservation, expansion, and maintenance of trails within the City of Newcastle, Washington. We recommend trail routes, identify priorities, and maintain a registry of volunteers to assist the City in trail work. Trail efforts will be planned and budgeted by the City in conformance with the Parks and Trails Plan. 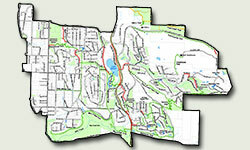 We also maintain a list of Trails and a Trail Map,	Trail Guide,	Trail Planner, and Planner Guide. And we offer a Trail Book. 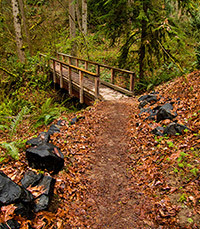 Volunteers are encouraged to help with work parties and trail walks. The Board of Directors meets monthly. Board Meetings and other scheduled events can be found on our Calendar. News appears on this website and in our emailed newsletter. Members need not reside in Newcastle. There are no dues. Contact us for more information. Consider carrying a litter bag or clippers, picking up litter or trimming intrusive plants as you go. Many trail users do this from time to time, and it's a great help. For major problems - a fallen tree or a washout	- call the City of Newcastle at 425-649-4444. Better yet, file a written report with the City using the online application YourGov or its cellphone app, as described below. Trail or non-trail maintenance issues ranging from downed trees to vandalism can be reported to the City using the application YourGov from your desktop or laptop computer. You can also install the YourGov app on your Android or iPhone to report on the go (and include a photo of the problem). YourGov will use the location of your device, or a location you enter on your computer, to put a point on a map showing the location of your issue and nearby issues, with their descriptions. Note: As indicated on the Newcastle website, the YourGov system is not designed for reporting all types of incidents. For emergencies, use 911. Problems with traffic, abandoned vehicles, and crime reports should be given to the Newcastle Police. Report animal concerns to Regional Animal Services of King County. The Highlands Trail (2.3 miles, mostly easy) is a loop trail that offers a pleasant walk in the woods, with stormwater ponds that attract wildlife. Eva Lundahl's Trail Book 14 Shorter Trail Walks In and Around Newcastle includes trails, maps, and fascinating notes – on local history, geology, and the plants and animals along the way – all illustrated with great photos.